France legend Bixente Lizarazu suggested that Neymar shouldn’t have provoked Strasbourg players as he’s “fragile”. The Brazilian forward was forced to withdraw in the 62nd-minute of Paris Saint-Germain’s 2-0 Coupe de France win over Strasbourg last Wednesday for Moussa Diaby after damaging the same metatarsal he broke last February. This came after Strasbourg midfielder Moataz Zemzemi fouled Neymar three times in the space of just a few seconds with the referee taking no action. Speaking after the game, Strasbourg’s Anthony Goncalves insisted they did nothing wrong in regards to their challenges against Neymar. Now, 1998 World Cup winner Lizarazu believes that Neymar may have provoked Strasbourg into their strong challenges on him, which was unwise given his fragile state. “I understand the reaction of the Strasbourg players, although not the way in which the expressed it,” Lizarazu told Telefoot. “We can criticise the Strasbourg way of defending, but it’s true that Neymar is something a little bit provocative and this annoys defenders. 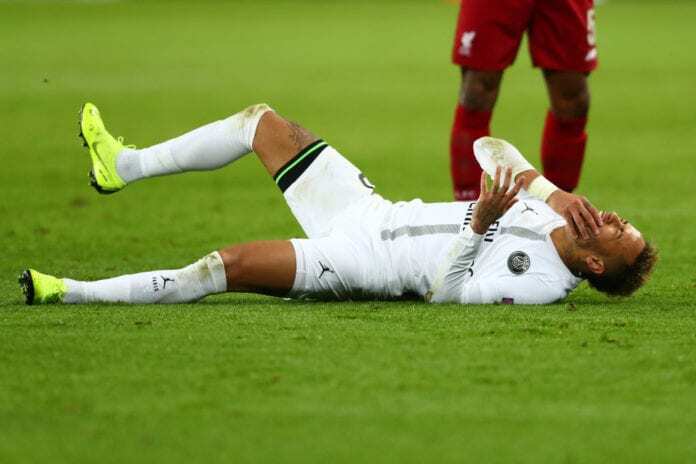 PSG later released a statement on Neymar’s condition which confirmed that he had suffered a “painful recurrence” of the foot injury that ruled him out of action for almost three months. 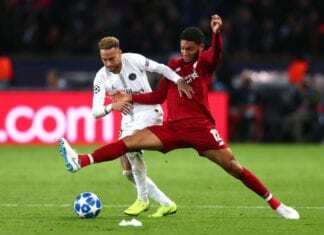 Following the Parisian’s 4-1 Ligue 1 win against Rennes on Sunday, PSG manager Thomas Tuchel admitted that Neymar missing the first leg of their last-16 Champions League clash against Manchester United on February 12 at Old Trafford is a strong possibility. The French giants are also lacking in midfield options right now with Marco Verratti out due to an ankle injury. While Adrien Rabiot remains suspension from the team. Edinson Cavani’s brace along with goals from Angel Di Maria and Kylian Mbappe sealed PSG all three points on Sunday to maintain their 13-point lead at the top of Ligue 1. The 21-year-old broke his leg four months ago and has been away from the field until last Wednesday in the UEFA Champions League.